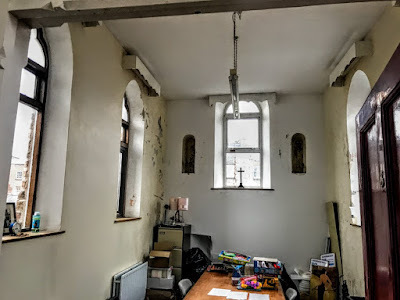 I was invited into a hidden and almost-forgotten late Victorian chapel in Limerick yesterday when I visited Ozanam House, the Limerick offices of the Society of Saint Vincent de Paul. 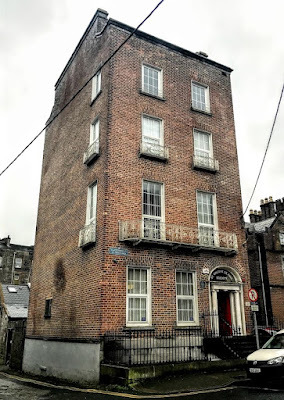 Ozanam House, which was once known as Hartstonge House, is a tall narrow town house, with no garden, standing alone at the Pery Square end of Hartstonge Street, with the former Leamy School, now the Frank McCourt Museum, on one side, and the other side a laneway that runs between the house and the Mechanics’ Institute. 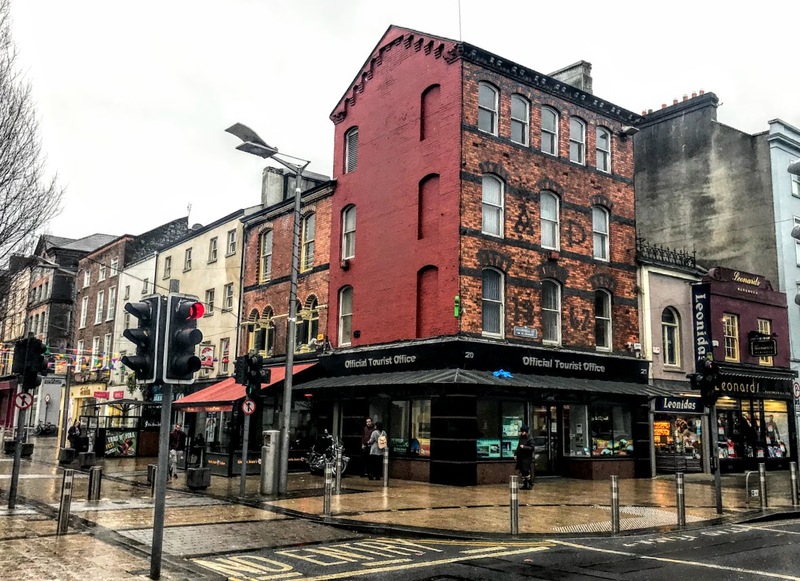 The house was built about 1840, and from the 1860s to the1880s, it was the home of the Harris family, the proprietors of Harris’s Bakery in Henry Street. Later members of this family included the actor Richard Harris. Stephen O’Mara (1844-1926) bought Hartstonge House from the Harris family and moved into the house from Roche’s Street in 1886. Politically, Stephen O’Mara was a strong supporter of Parnell. He was a town councillor in Limerick, Mayor of Limerick (1885 and 1886), Home Rule MP for Queen’s County Ossory (1886), but he did not stand in the next election. That year, the O’Mara family, who made their wealth from their bacon factory on 30 Roche’s Street, moved into Hartstonge House, and later built a private chapel in a return room at the second floor. Stephen O’Mara continued to be politically active: he was High Sheriff of Limerick City in 1888, became an alderman, and was present at Parnell’s deathbed in Brighton in 1891. At the 1901 census, the house had 13 rooms, with 10 windows at the front of the house, two coal cellars and assorted out-buildings. The O’Mara family continued to live in the house until about 1909, when the family moved to Strand House. Stephen O’Mara was a senator in the new Senate of the Irish Free State from September 1925 until he died on 26 July 1926. He was granted the Freedom of Limerick in 1908. To mark the occasion, he sang from the balcony of Hartstonge House to a huge crowd gathered on the street below. His last public appearance was at concerts in March 1927 to celebrate 700 years of the Dominicans in Limerick. He died on 5 August 1927 at his home, Glenmore, 14 Ailesbury Park, Dublin. When he was buried in Glasnevin Cemetery on 8 August 1927, the Limerick city flag flew at half-mast at the town hall. 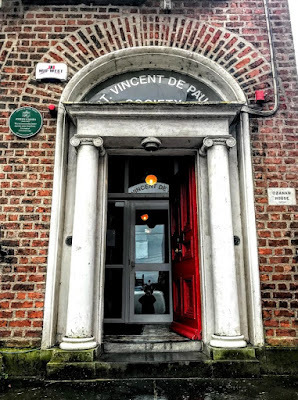 The house now houses the Limerick offices and facilities of the Society of Saint Vincent de Paul, which has renamed it Ozanam House after the founder of the society, and the name Hartstonge House is used by another house on the street. The statues and the altar from the private chapel of the O’Mara family were donated to the Jesuits in 1920, and the former chapel is now used as an office. 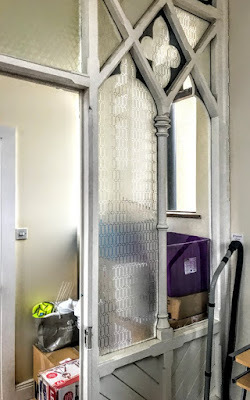 However, the Gothic-style wooden and glass screen still survives, and during my private visit to chapel yesterday, I could see niches where statues once stood on each side of the altar. 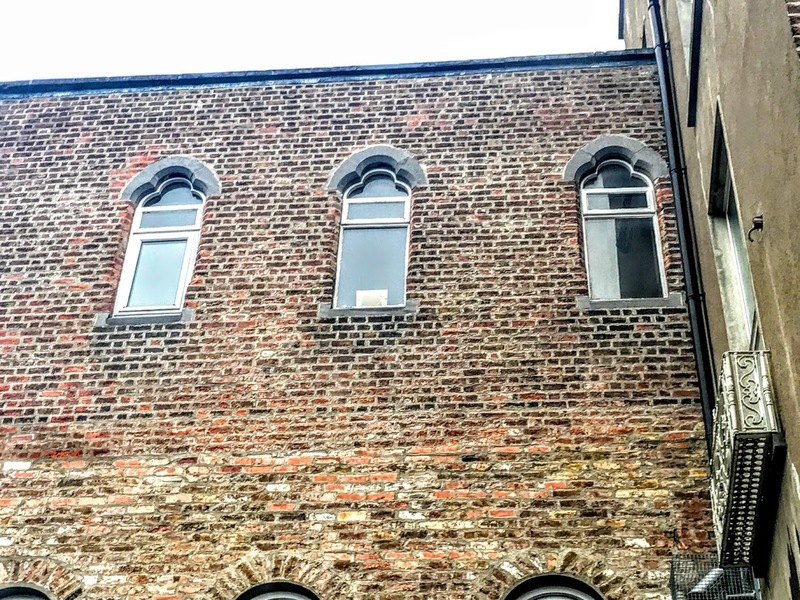 Back outside, as I stood at the Leamy School and then in the laneway between Ozanam House and the Mechanics Institute, I could see the three limestone arched windows at the back of the building on each side of the former chapel. The house is a freestanding, four-storey over basement townhouse built ca 1840. Apart from the chapel, it is distinguished by a three-centre arched door opening and a fine Adam-style cast-iron balcony with quadrant sides on the first floor. There are cast-iron balconettes on the second floor, and nursery rails at the third floor. The red brick walls are laid in Flemish bond with cement repointing. Inside, the house still has its original late Georgian floor plan and many original features, including joinery detailing, marble chimneypieces, and vine leaf and grape enriched cast decorative plasterwork. There is encaustic tilework in the stair hall and entrance hall, and the original staircase has attenuated turned timber balusters on a pear-shaped base, and carved tread ends. This fine house appears to be contemporary with the nearby Tontine terrace of houses around the corner in Pery Square, which may indicate that James Pain was the architect. If it was intended as part of a terrace, this was never completed. Nevertheless, it forms a superb termination of the southern vista of Catherine Street. Although the weather is still cold and the skies are grey and overcast, this is good weather for wrapping up well and going for a walk. 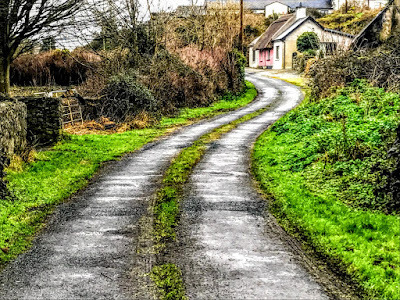 I had a number of pastoral visits this morning, and before returning to the Rectory to put the finishing touches to Sunday’s sermons and service preparations and to my monthly column for church magazines, I went for a walk along the country lanes near Askeaton, and by the River Deel, as far as the slipway used by the Desmond Rowing Club at a turn on the river upstream from the point where it flows into the estuary of the River Shannon. Some of the old small cottages on the west bank of the river, behind the swimming pool, are tumbling down, but patches of thatch remain on their roofs and the flaking paintwork on the walls add the scenic quality of the lanes. Across the river, the ruins of the former Franciscan Abbey are majestic. But beside them, the ruins of the old creamery and a nursing home are a sad reminder of economic decline in past decades. At one time, a visionary plan saw their potential for a restaurant, hotel and other facilities that would enhance the tourist potential of this town and this part of Limerick. Hopefully, someone will return to these dreams soon and bring them back to life. In my search for the churches of Limerick, I have also come across the sites of churches that are standing no longer. When the mediaeval Saint Michael’s Church was destroyed in the mid-17th century, it was not rebuilt, and the Church of Ireland parish was left without a church building for over 100 years. In the 1760s, work began on building a new church at the corner of George’s Street with Thomas Street and Bedford Row. The planned church was to have a pivotal position at the centre of a polygonal piazza and would have been visible from the river. This might have given the street a vista similar to that created by Saint George’s Church in Hardwicke Place, Dublin. The foundation stone was laid in 1767, and the new church was planned as an octagonal building. The octagonal outline for the church can be seen in Christopher Colles’s map of Newtown Pery in 1769. The map does not include the Crescent, first known as Richmond Place, nor does it include Pery Square. The location of the new church in the centre of the new main thoroughfare, to be known as George’s Street (now O’Connell Street), reflected the place of the Church of Ireland in Georgian society. The name of the church and the street were chosen to honour King George III and not the English patron saint. The new church would have served the original residents of Newtown Pery. But, some unknown reason, the church was never built at the first chosen location. The site was changed to a place further south, originally surrounded by green fields, as can be seen on Sauthier’s Map of Limerick in 1786. 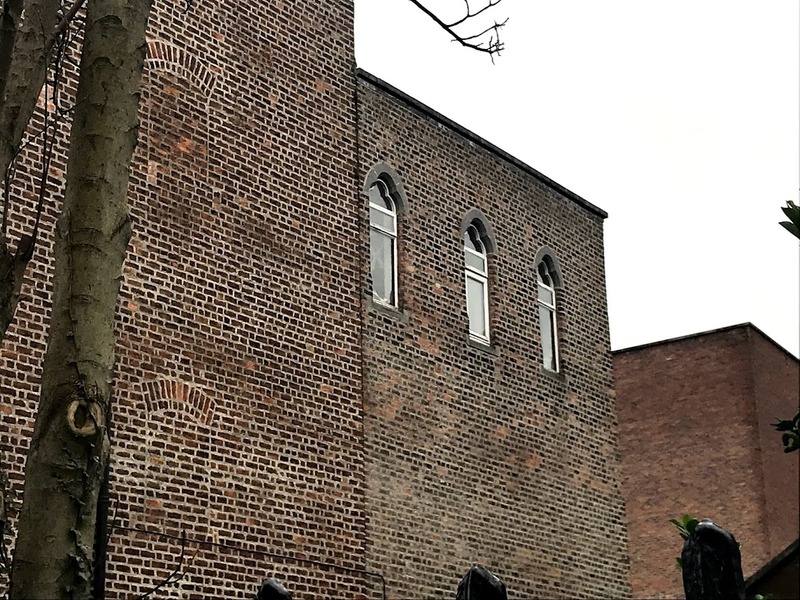 The unfished church was dismantled and the materials from the site were reused as the Pery family built and endowed Saint George’s Church on the corner of George’s Street and Mallow Street. Saint George’s was completed in 1789-1791 at a cost of £507. It, was a modest building and was never intended to serve as a parish church. In Church Law, it was a chapel of ease to Saint Mary’s Cathedral. It was an interim solution for the new suburbs being developed in Newtown Pery at the turn of the 18th and 19th century by the Pery family. 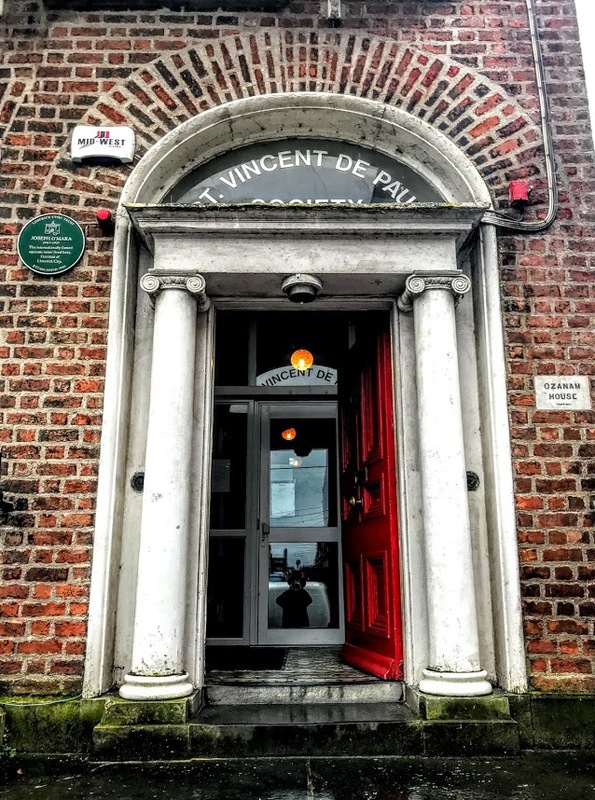 The Archdeacon of Limerick, the Ven William Wray Maunsell, remained the Rector of Saint Michael’s, and so a curate was appointed to Saint George’s, with the curate’s stipend paid by the Earl of Limerick. 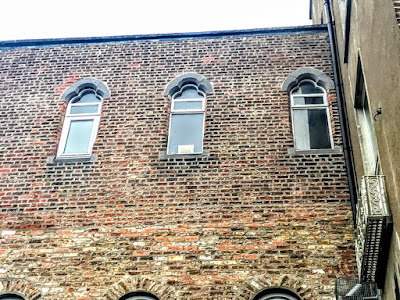 The new church was described as a plain, commodious building that could seat 300 people, and its lofty east window once belonged to the old Franciscan Abbey in Limerick. It was called the Round Church, and at first it was in the middle of a green field. At first it was surrounded by green fields. Later, the map of ‘Part of South Prior’s Land’ (1823) and McKern’s Map (1827) place it at the junction of George’s Street and Mallow Street. With the demolition of Saint George’s Church, Saint Michael’s Parish was once again without a church from 1831 until Saint Michael’s was completed and consecrated. 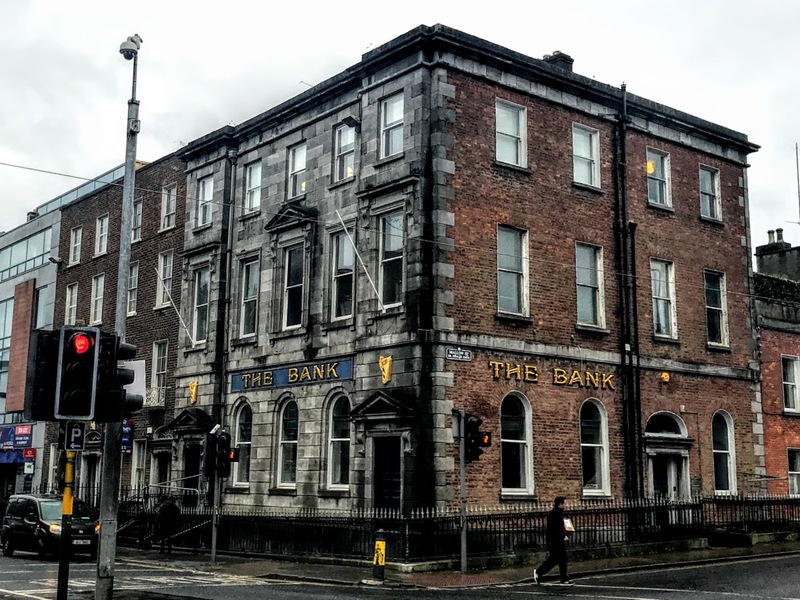 On the site of Saint George’s Church, the Provincial Bank of Ireland built a five-bay, three-storey over basement limestone bank to the designs of James Pain. 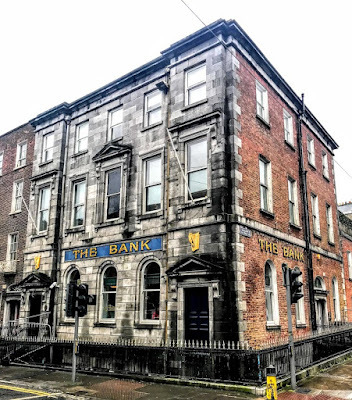 The Provincial Bank opened in 1834, with the address 63 George’s Street, and the money generated from the sale of Saint George’s to the bank provided the bulk of the sum required to build Saint Michael’s Church. 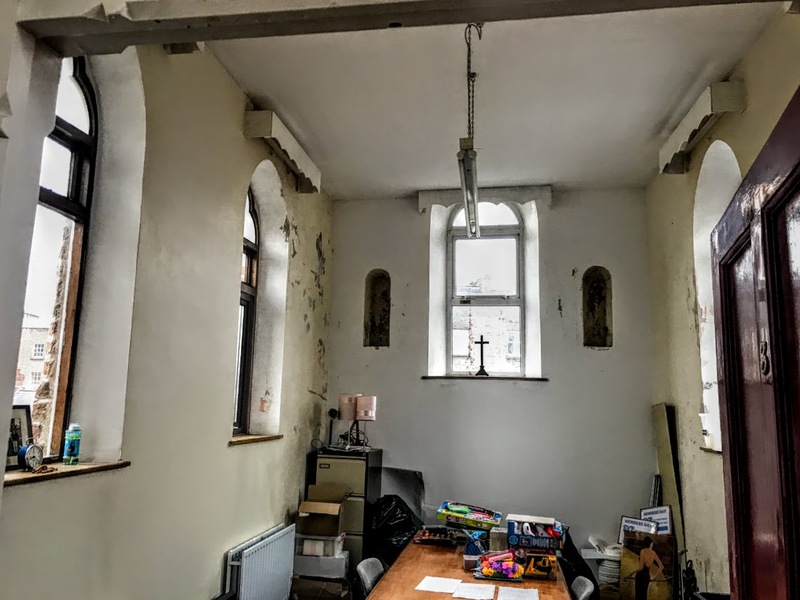 But once again there was no Church of Ireland church in the parish, apart from the privately-owned Trinity Episcopal Church in Catherine Street. While the rector of the parish had the spiritual care of the parishioners, they were without a church building. Some of the parishioners met in the Primitive Methodist chapel until 1843. However, the Methodists gave notice that year that they would withdraw the privilege grated to Saint Michael’s parishioners. An application was made to the Church Commissioners and a sum of money was granted to complete the unfinished church. By Act of Parliament, the Revd Pryce Peacock, who was the curate of Saint George’s and lived nearby in the Crescent, was appointed the first curate of Saint Michael’s. 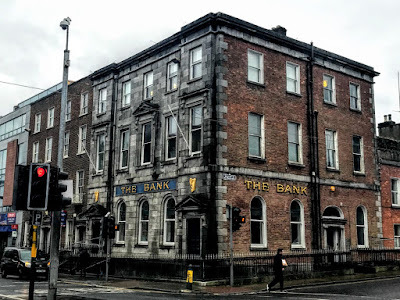 The Provincial Bank of Ireland, established in 1825, merged in the 20th century with the Royal Bank of Ireland and the Munster and Leinster Bank to form Allied Irish Banks. Today, the former Provincial Bank building is the Bank Bar and Restaurant at the corner of 63 O’Connell Street and 1 Mallow Street. This landmark building is in good condition and has a very finely detailed façade with historic windows and glass. The side elevation blends successfully with Mallow Street, and ties the two streets together seamlessly. Much of the interior is original and clearly demonstrates a good change of use without the loss of architectural features. Although the building is later than many of the Georgian buildings in this part of Limerick, the composition of its formal façade and its sympathetic proportions add variety and interest to the building.